Updated below with a detailed evolution demonstrating how the content spammers operate. 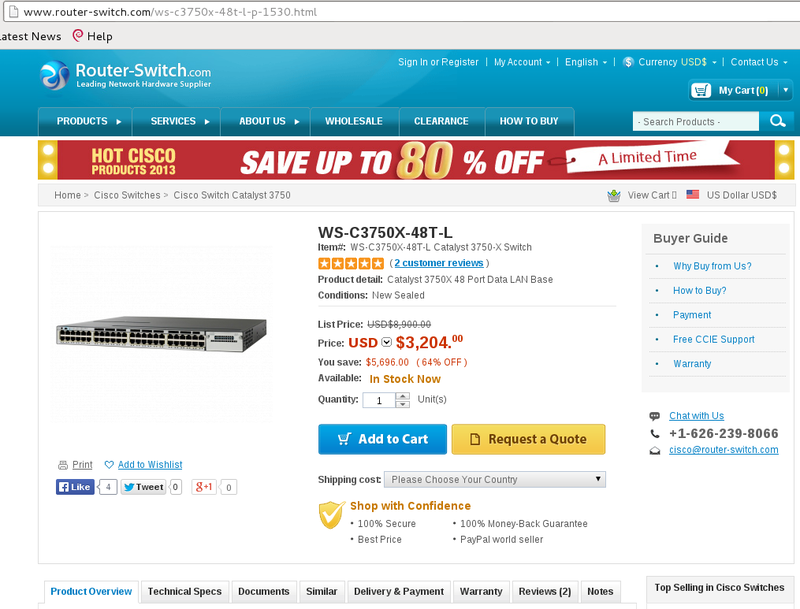 NOTE: The spammers used to post exactly the same spam to all SE sites simultaneously. Now they post unique spam on each site. 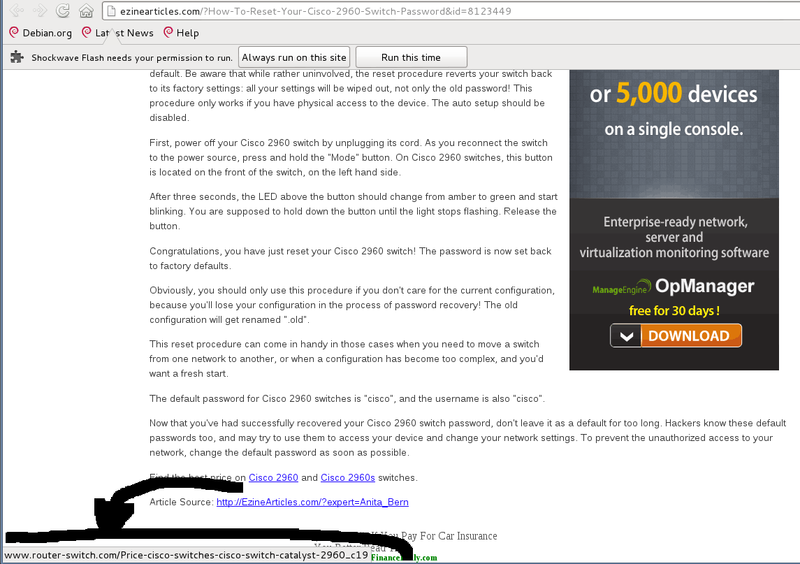 Please watch hyperlinks carefully. 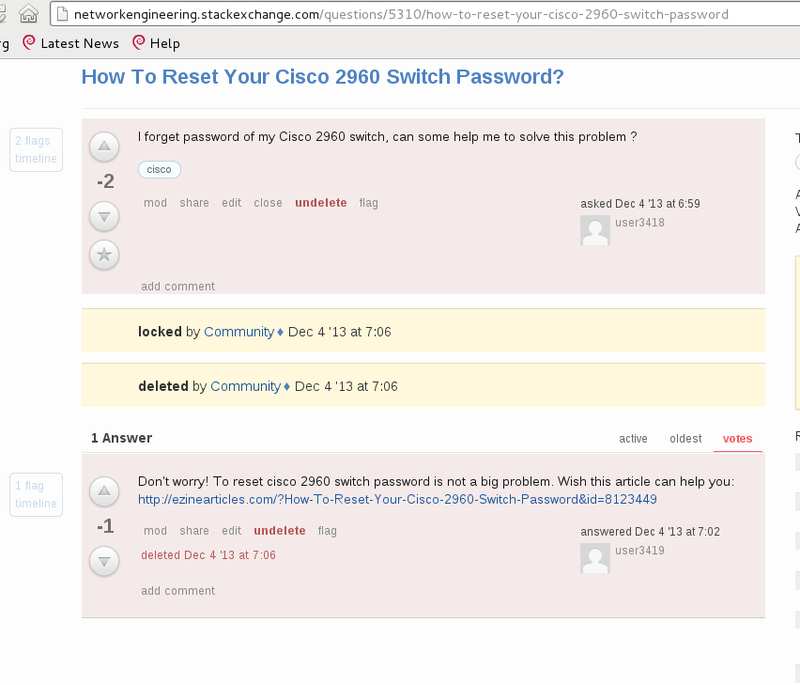 I'm getting a little annoyed with a particular Cisco reseller (router-switch.com), which seems to have hired a team of people to post content spam across stack exchange sites. The first spam happened on 8 Nov 2013. We subsequently found more content spam from the same company a few days later, which was also destroyed. 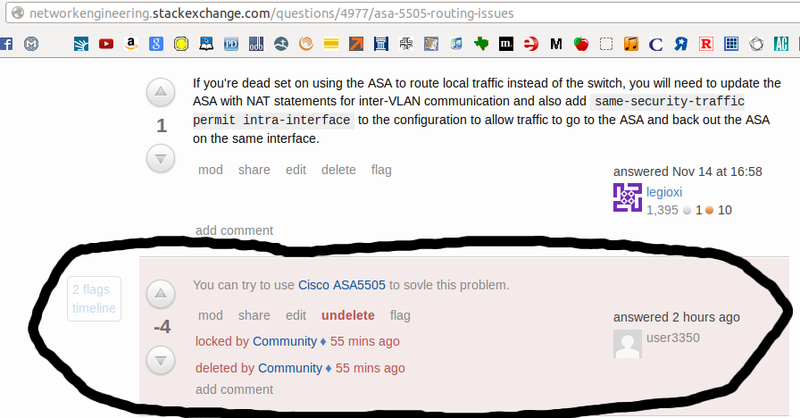 I am posting this on meta, because router-switch.com is becoming more crafty in how they post spam; originally they posted questions about how to distinguish between various Cisco products. 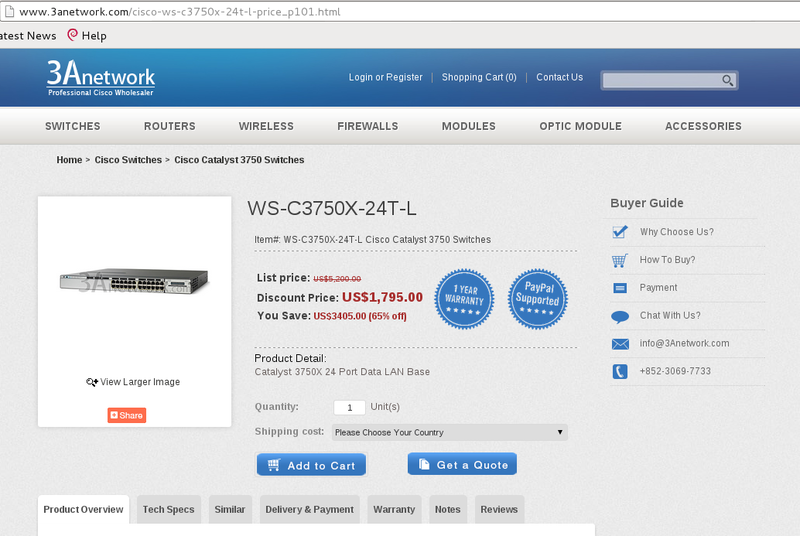 Now they simply embed their product sale links in innocent-looking answers. 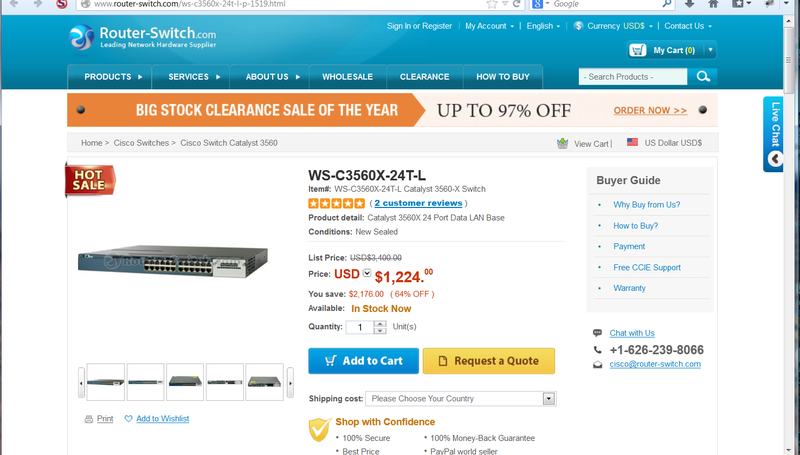 The best way I've found to identify their posts is to look for url:*router-switch.com in the search box of whatever Stack Exchange site you're interested in. When you find spam in these posts, flag it as spam. SE has special filters to process spam flags now, but we need your help. Downvotes are great, but are not sufficient to get moderator attention. 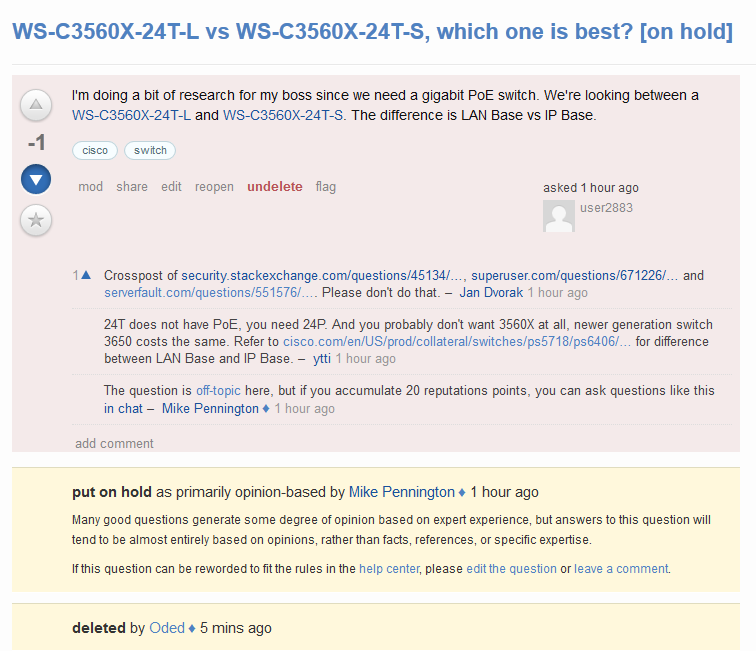 Furthermore, when flags are validated as real spam, SE takes further action to ensure that spammer doesn't come back. 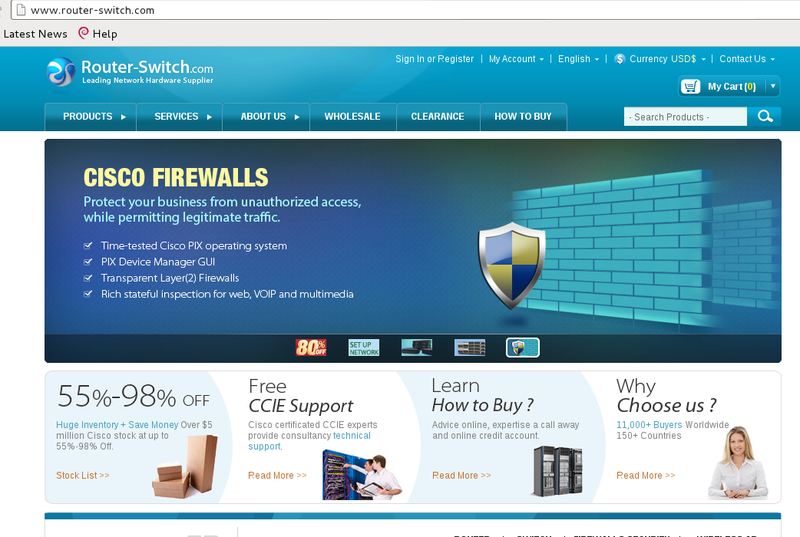 The community mod team blacklisted r0uter-switch.com (<---- replace the '0' with 'o') URLs across the SE network tonight after they posted more spam. Not the answer you're looking for? 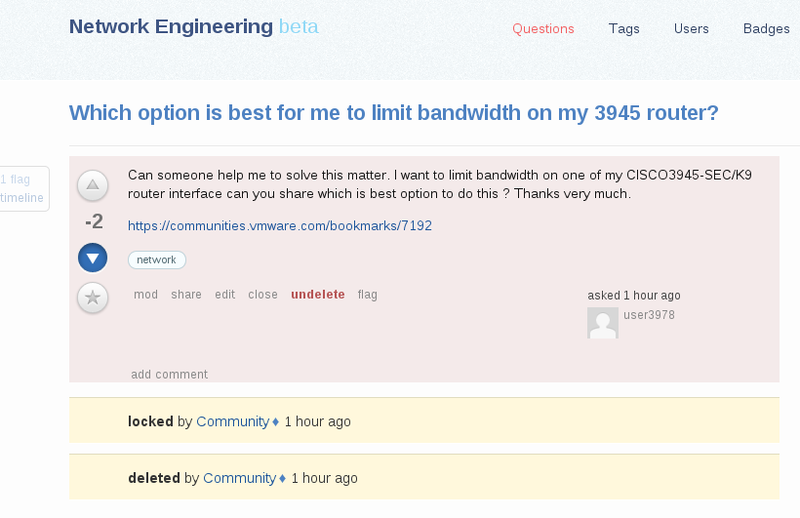 Browse other questions tagged support spam spam-detection . Who wants to go spam hunting?